In the past four decades, Spencer Rogers has helped private property owners, builders, designers, and governmental agencies to develop hurricane-resistant construction methods, understand shoreline erosion alternatives and implement marine construction techniques. He serves on the faculty at the University of North Carolina at Wilmington’s Center for Marine Science, and as adjunct faculty in the department of civil, construction, and environmental engineering at North Carolina State University. Rogers co-authored The Dune Book, a guidebook on dune species, planning, and best management practices along developed shorelines. He also has contributed to the FEMA Coastal Construction Manual. His research has been published in numerous scholarly journals, including the Journal of the American Shore and Beach Preservation Association, and the Journal of Marine Education. He also is a regular speaker at conferences about coastal engineering and hazards, including the annual Solutions to Coastal Disasters. Rogers was part of a select group of engineers and scientists on the FEMA Hurricane Katrina Mitigation Assessment Team to conduct a coastal damage evaluation in Mississippi, Louisiana and Alabama. 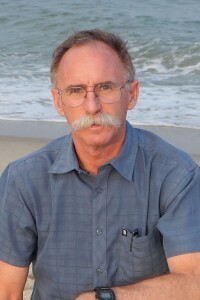 Rogers joined Sea Grant in 1978, having worked as a coastal engineer for the Bureau of Beaches and Shores in the Florida Department of Natural Resources during his early career. He holds a master’s in coastal and oceanographic engineering from the University of Florida and a bachelor’s in engineering from the University of Virginia.